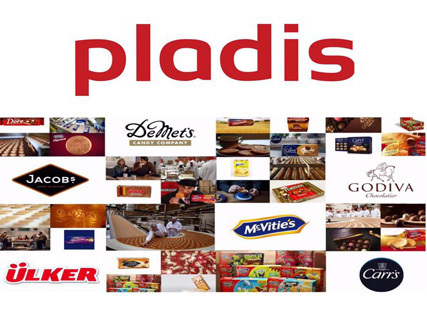 Managing Director of A&P Foods/Pladis company, a leading international manufacturer of biscuits and confectioneries, Mr. Kwame Wiafe, has called on government to review its procurement guidelines, so that local companies would not be placed in a major disadvantage. He said that when companies engage the services of local industries, it would help to develop the policies, which would provide growth for local businesses. Wiafe, who disclosed this during the 125th anniversary celebration of McVitie’s Digestive brand product in Lagos, said efforts by government would be rewarding as companies usually invest hugely in local production. He added that the biscuit firm that has been producing numerous brands of products enjoyed by consumers had been sourcing its raw materials locally, saying, “if there is any difference in taste of any of our products from countries across the world, it means the slight difference spotted is due to the raw materials sourced from a particular country, which varies but the process is same anywhere in the world,” he said. “The company had been able to leverage on innovation over the years that is why it has brought together and successfully grown three iconic brands amidst the rising costs of raw materials and volatile global currencies. It is difficult for any of our competitors to outperform our products because innovation has been the vehicle for coming this far in business,” he noted. Also speaking, the Marketing Director, Mrs. Toyin Nnodi, said there are quick thoughts on things that government can do to empower the manufacturing industry in Nigeria, adding that the firm recorded increase in biscuit sales due to the brand’s high quality. Nnodi narrated how the brand started in 1830 with its rich heritage from locally sourced materials and has maintained its touch of royalty over the years. “Today, the firm celebrates 125 years of existence because McVitie’s Digestive’s first original product was launched in UK in 1892. The decision to launch a promotional campaign towards celebrating this milestone is to reward consumers across the globe who have shown love and support of the brand for over 12 decades,” she said.